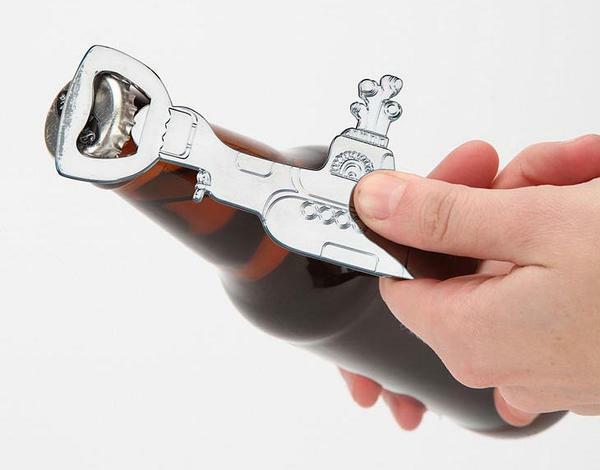 Need a perfect way to open your favorite beer when you sit and sing the Fab Four’s “Yellow Submarine” at the campfire? Apparently the following bottle opener is a nice idea. 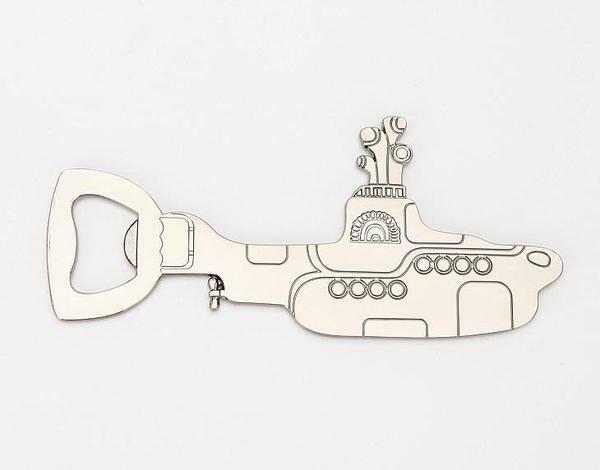 This is a pretty cool bottle opener inspired by the Beatles song Yellow Submarine. The bottle opener measures 4.75 x 2 inches, and as we can see from the images, the bottle opener is shaped as the classic yellow submarine appearing on the cover of the famous Yellow Submarine album by the Beatles, and comes with nice details from its original design, while the opener is placed at the end of the silver submarine, and the durable metal construction allows you to use the mini “yellow submarine” to open your favorite beverage with ease. The Yellow Submarine bottle opener is priced at $14 USD. If you’re interested, jump to Urban Outfitters for more details. Additionally, if you need other options, you might like to check the pacifier bottle opener and more via “bottle opener” tag.